U.S. Marines and Japanese soldiers load boxes of humanitarian aid into an MV-22 Osprey aircraft at Japanese Camp Takayubaru, Japan, April 18, 2016, to support earthquake relief efforts near Kumamoto. 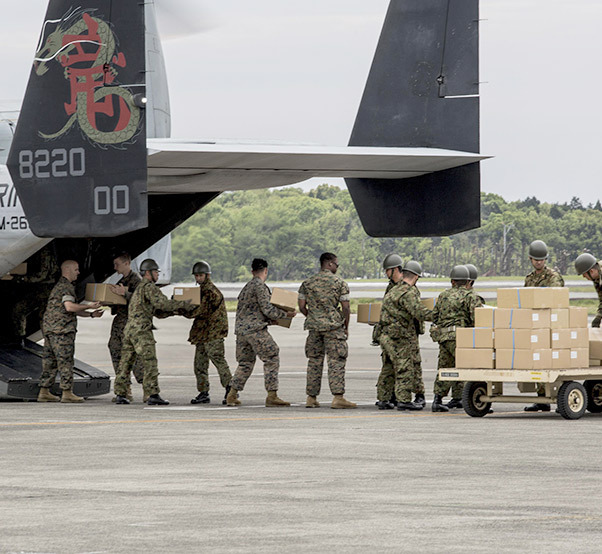 The U.S. military has delivered more than 30 tons of supplies to help the people of Japan following two powerful, deadly earthquakes there, a Pentagon spokesman said April 21. Since April 18, the U.S. military has supported the government of Japan’s relief efforts with eight MV-22 Osprey sorties, four C-130 Hercules sorties and two UC-35 Citation sorties, Navy Capt. Jeff Davis told reporters. The supplies include food, water, and sanitation and shelter kits, Davis said. Heavy rainfall forced Osprey sorties in the Kumomoto area to be canceled April 21, although they are expected to resume tomorrow, he added. There are about 130 Defense Department personnel supporting the overall effort in Kumamoto, Davis noted. U.S. ships from Sasebo Naval Base, C-130s from Yokota Air Base, and Ospreys from bases in Okinawa are participating in the humanitarian operation, he said. “We are seeing a decrease in the number of requests for U.S. airlift and do expect that U.S. support operations should wrap up in the coming days,” Davis said. A magnitude-6.5 earthquake hit the region of Kumamoto on April 14; and a magnitude-7.3 quake struck the southern island of Kyushu two days later. Buildings have collapsed, and the second quake triggered landslides. There has also been a series of aftershocks. Marine Corps Air Station Iwakuni, the closest U.S. airfield to the relief effort, is serving as a joint hub. 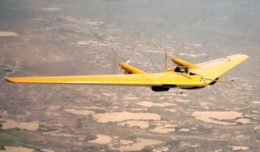 In a statement, the commander of U.S. Forces Japan, Air Force Lt. Gen. John Dolan, said the U.S. military stands with Japan during this difficult time. “To the people of Japan and the region affected by this tragedy, we send our heartfelt sympathies,” Dolan said.